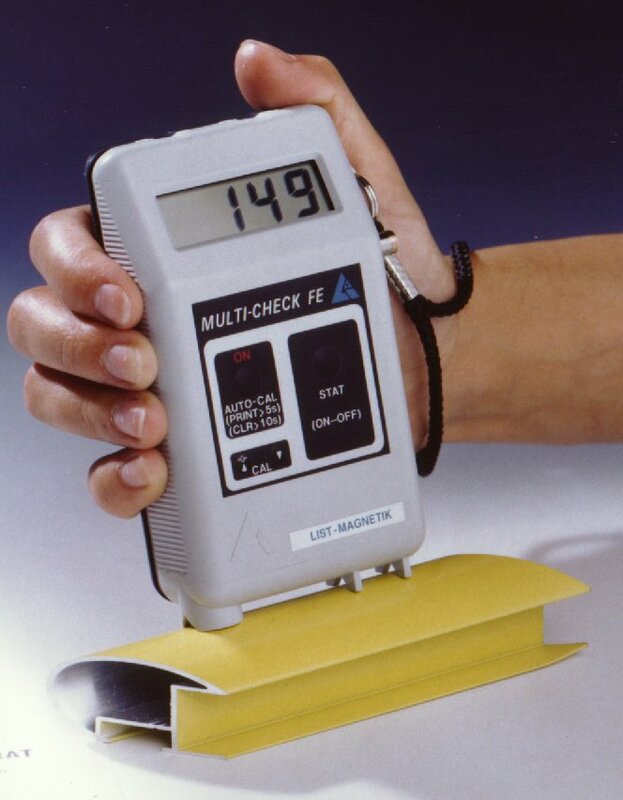 This handy, pocket-size device works according to the magnetic induction technique and measures on ferrous base non-magnetic coatings. 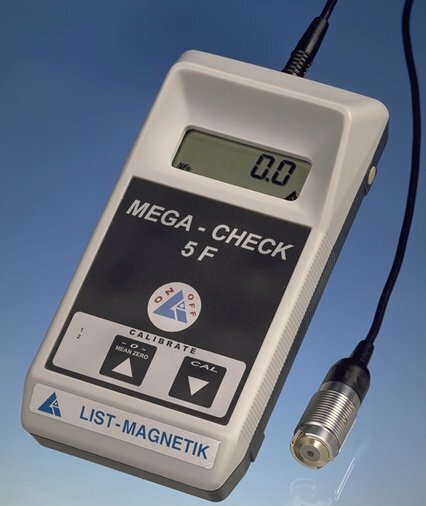 The world's first pocket-size Coating Thickness Meters with a swinging probe for measuring on ferrous and non-ferrous metals (MEGA-CHECK FN: magnetic-induction and eddy current technique). 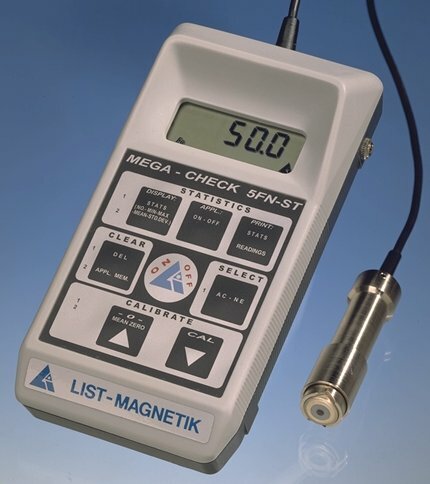 Practical and easy to operate device with fixed probe F-5 for measuring coatings on steel up to 5 mm (200 mils) (magnetic induction technique). See model 5F. 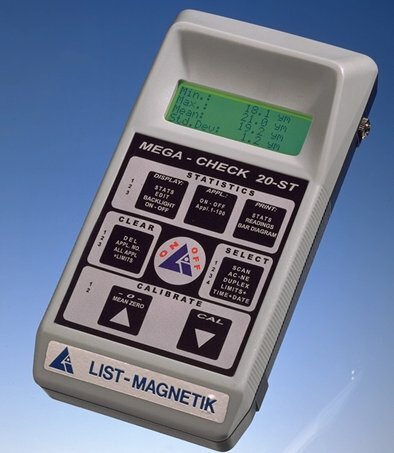 Additional Features: Memory for 500 readings, statistics and serial interface RS 232. 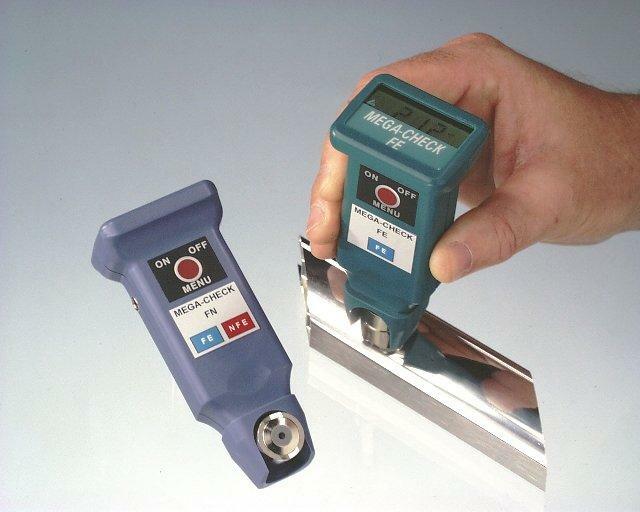 With fixed probe FN-52AT for measuring coatings up to 5 mm on steel (FE) and 2 mm on non-ferrous metals and non-magnetic steel (NFE). 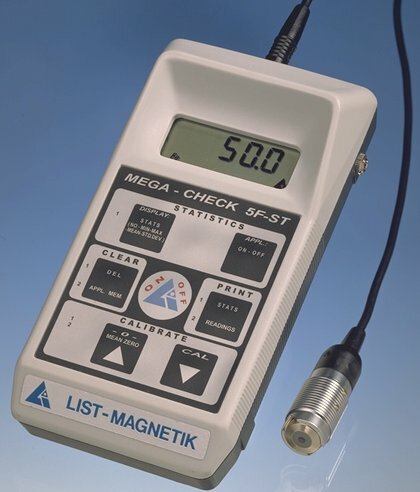 Includes memory for 500 readings, statistics and interface RS 232. All types of probes (pluggable) can be used. - Features: SCAN-Function on rough surfaces, memory for 2000 readings, statistics and interface RS 232, display of all readings stored. See model 10-ST - Additional Features: Max. 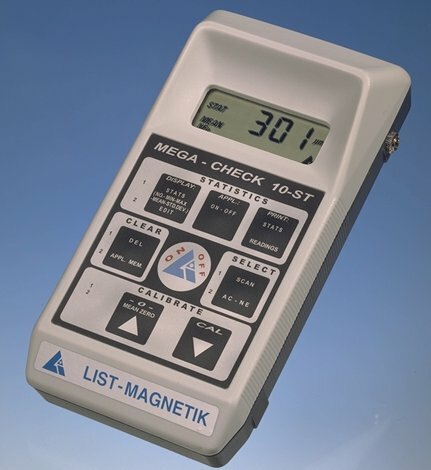 100 application memories, graphic LCD display, backlight, DUPLEX - value indication (Coating / NFE / FE), reference value setting, listing with date and time.